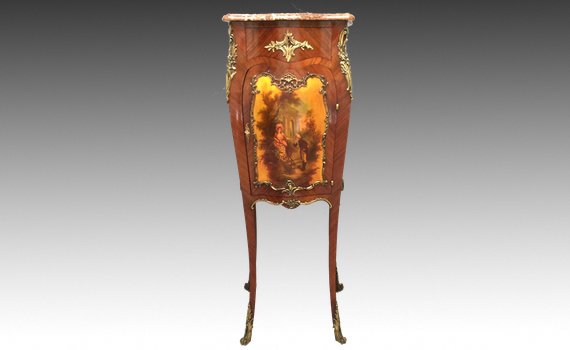 An early 20th century rosewood and ormolu mounted Vernis Martin cabinet of bombé form in the rococo style. The shaped marble top above a small drawer and a cupboard, standing on slender legs. The door and sides painted with a courting couple and pastoral scenes. The lock with ‘Vachette Frères’ ‘1’ stamp.